It is as a film composer that Blanchard reaches his widest audience. His trumpet can be heard on nearly fifty film scores; more than forty bear his unmistakable compositional style. 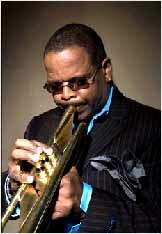 Since 2000, Blanchard has served as Artistic Director at the Thelonious Monk Institute of Jazz. On February 10, 2008, Blanchard won his first Grammy Award as a bandleader for A Tale of God's Will (A Requiem for Katrina) in the category of Best Large Jazz Ensemble Album. His two other Grammy Awards were as a sideman for Art Blakey (1984) and McCoy Tyner (2004). His new CD Choices was just released in August 2009. It addresses the choices we all make in life both as a society and on a personal level.